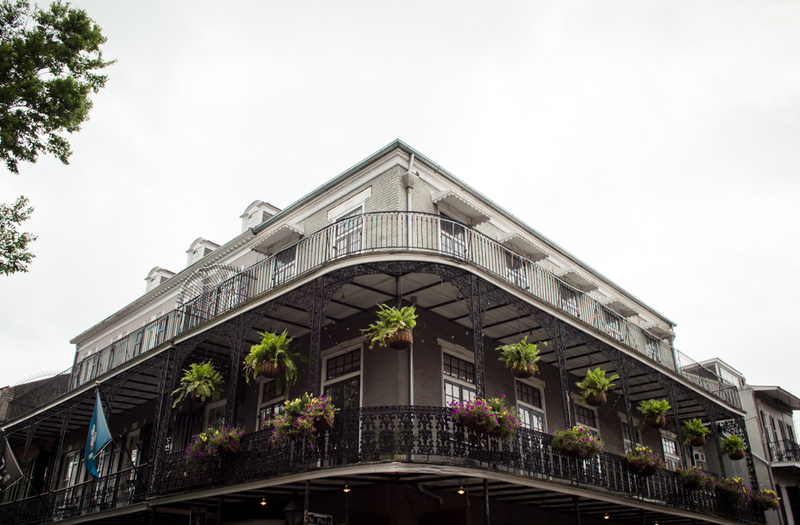 A few weeks ago, I visited New Orleans for my best friend Alicia’s bachelorette party. 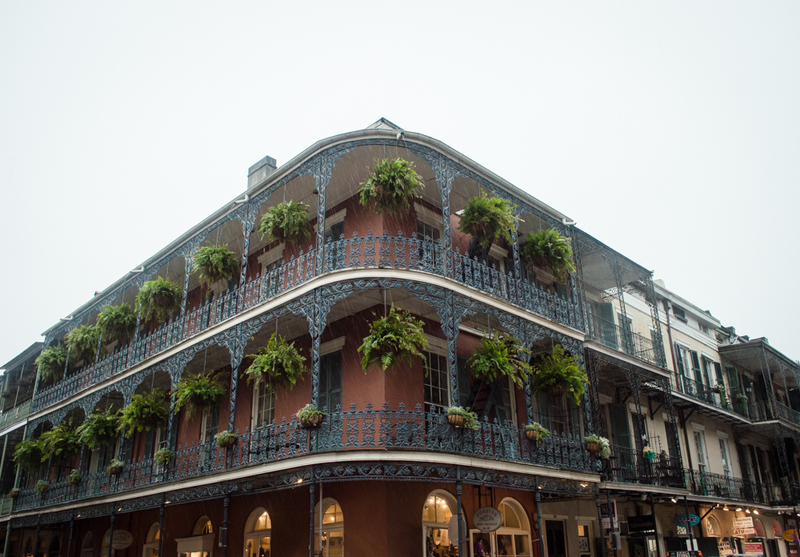 We planned to stay in the French Quarter, drink gallons of sugary cocktails on Bourbon Street, and attend Jazzfest. Unfortunately, the weather had other plans! 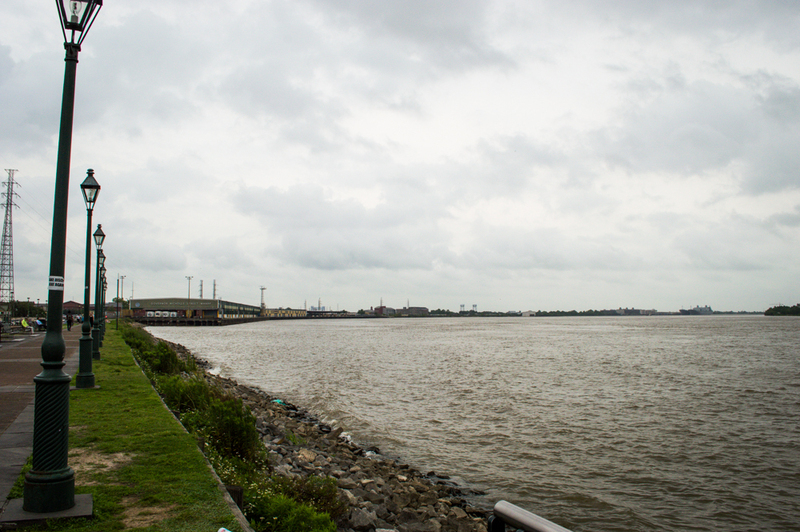 Jazzfest was rained out, and it rained most of the time we were in New Orleans. As an Angeleno, I’m not used to rain! The thunderstorms were really freaking me out. 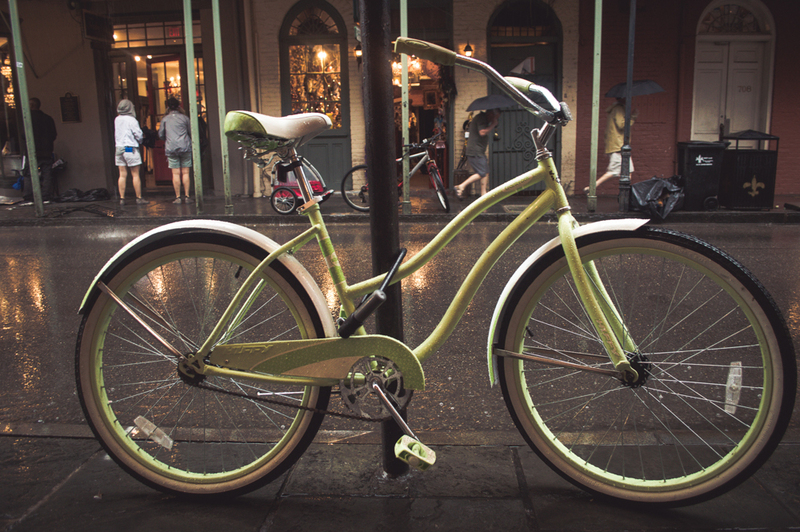 But we made the best of it, and I got these cool shots of the French Quarter in New Orleans in the rain. 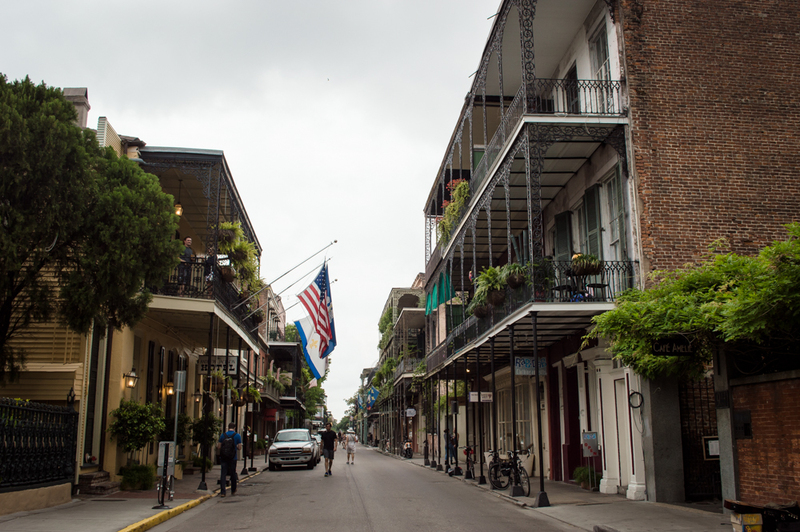 New Orleans, Louisiana is one of the oldest cities in the United States, and the French quarter is the oldest neighborhood in the city. 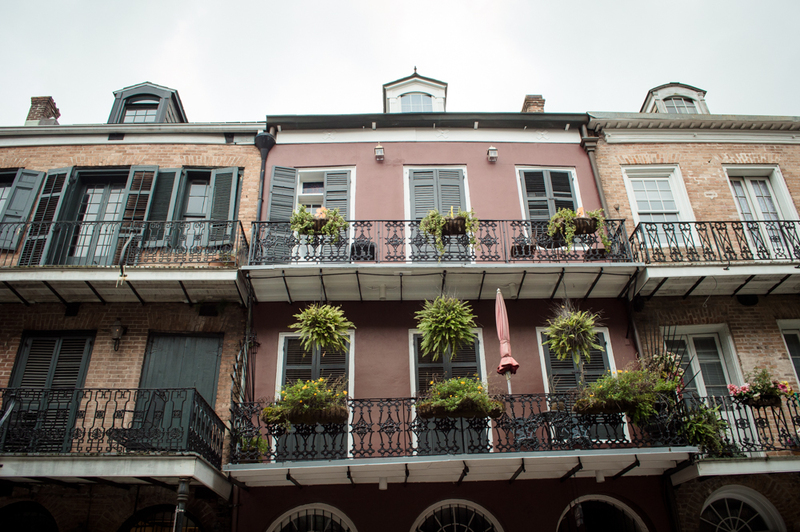 The French Quarter is about 78 square blocks, situated along the Mississippi River between Canal Street and Esplanade Avenue, inland to North Rampart Street. 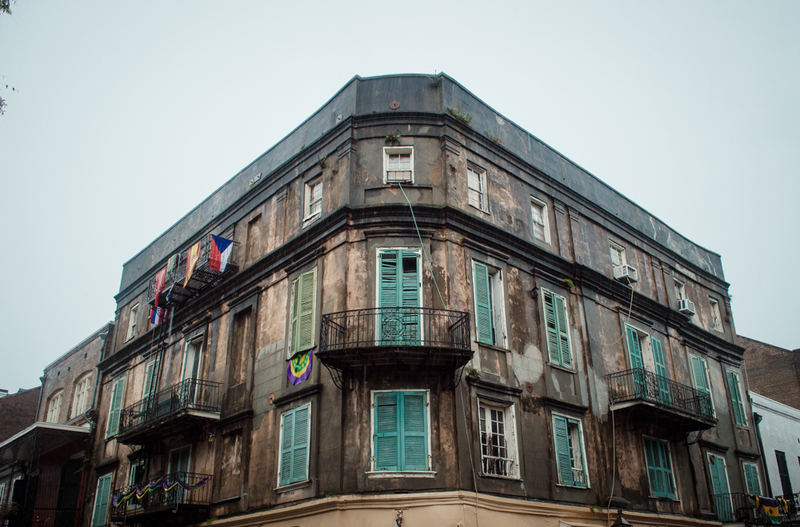 Many of the buildings were built in the Spanish style in the mid-1800’s following a major fire that destroyed most of the original French architecture. 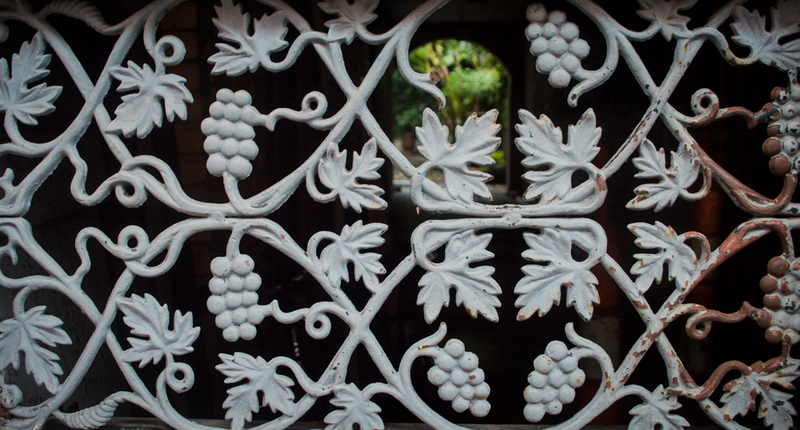 Most of the buildings are made of stucco with cast iron balconies. 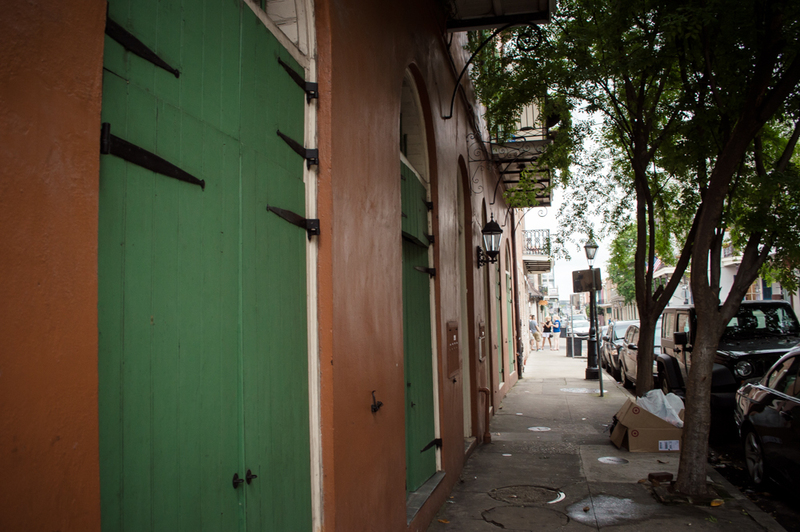 The streets are flagstone and cobblestone, so be very careful if you decide to wear heels! 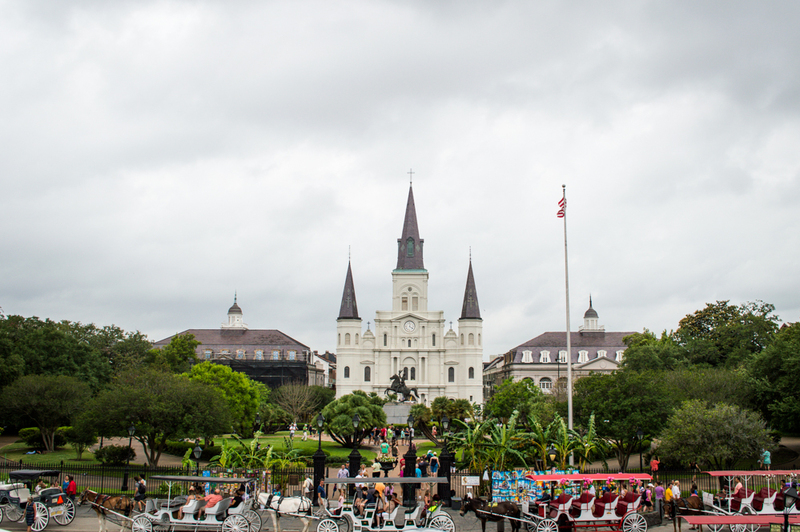 Jackson Square is a park in the French Quarter in front of the St. Louis Cathedral near the Mississippi River, separated from the river a levy and the “Moon Walk.” Before Jackson Square was a park, it was actually a military parade ground and execution site. 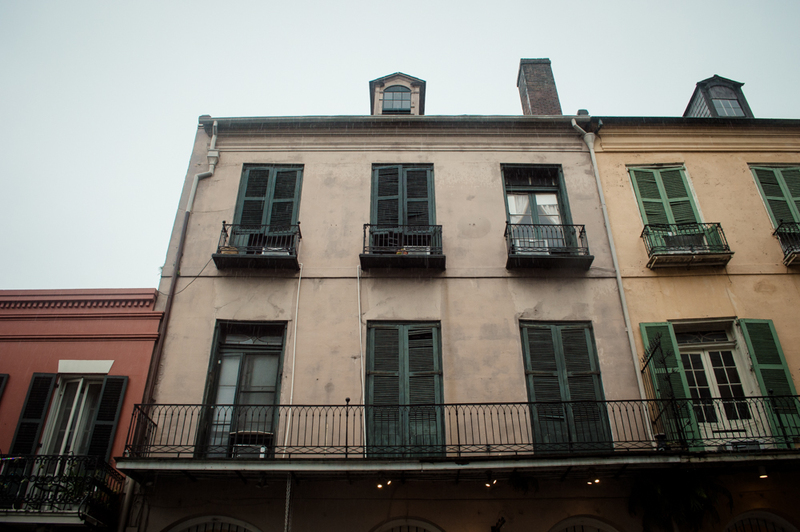 I didn’t know this when I was visiting, but apparently after the Slave Insurrection of 1811, some insurgents’ severed heads were displayed here. Horrifying. Now the area is known for attracting local artists, fortune tellers and mimes (which are a different kind of horrifying). 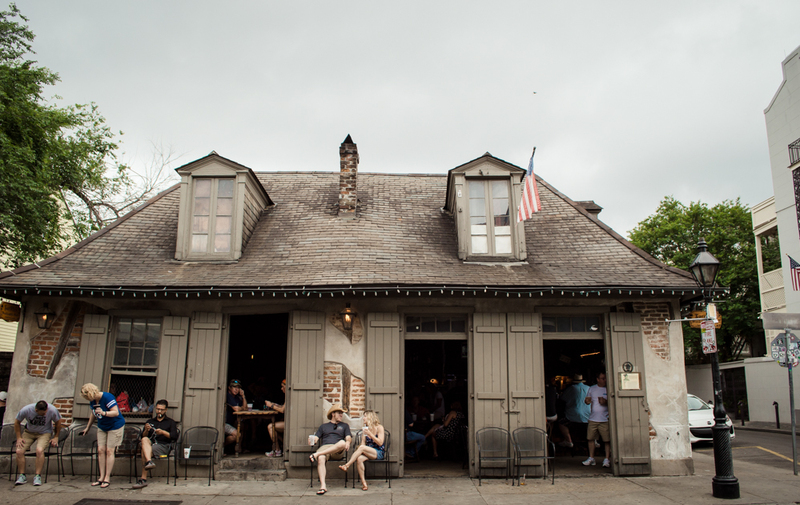 Stay tuned, because I have another post on deck about New Orleans. Next time, I’ll be talking about the PARTYING ON BOURBON STREET! Expect loads of gifs.